The following article is republished from Invent the Future with the permission of the author. It seemed that the smog of subjugation, oppression and backwardness was finally being lifted; that this small southern Caribbean nation would be given the chance it deserved to blossom, freed from the iron grip of the kleptocratic and ruthless Eric Gairy – whose record of repression, personal enrichment, neocolonial policy, and alignment with the most reactionary states in the region (most notably Chile under Pinochet and Haiti under Duvalier) had lost him the trust and respect of the people. The effect was absolutely electric in Britain. Grenadians had previously kept their heads down – working, sending money home and so on. All of a sudden we felt extremely proud. An energy was there that wasn’t felt before. For example, the High Commission and the Caribbean community worked together to put on an event at the Commonwealth Institute to mark the anniversary of the revo. We were expecting maybe 500 people, and in the end 5,000 turned up. When Maurice Bishop was in London it was phenomenal – you couldn’t get into the meeting because of the crowds. The attitude of Grenadians changed. People were walking around who hadn’t been political before, and they started speaking in public in defence of Grenada, such was the pride. The excitement of the revo was felt all around the Caribbean, as well as in the Caribbean communities in Britain, the US and Canada. Grenada instantly became a pole of attraction for socialists, anti-imperialists and Black Power activists. The father or critical pedagogy, Paulo Freire, came to kick off the literacy campaign. Major figures from the US such as Angela Davis and Harry Belafonte visited Grenada and were deeply inspired. Cheddi Jagan, Michael Manley, Daniel Ortega and Fidel Castro all spoke of the profound importance of the Grenada revolution. The legendary Mozambican freedom fighter (then President) Samora Machel visited the island to show his solidarity. 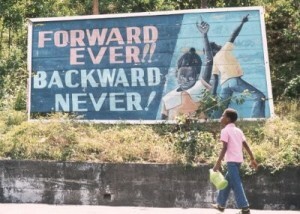 Progressive politicians, educators, activists and writers from throughout the region came to work in Grenada – figures such as Richard Hart, Merle Hodge, Didacus Jules and George Lamming. 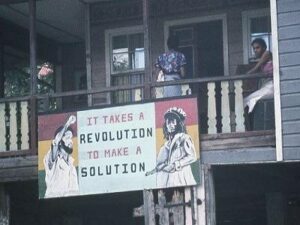 The truth is that this peaceful revolution in a small Caribbean country (with a population of a shade over 100,000) was a landmark moment, and its effects were felt throughout the region, and indeed the world. 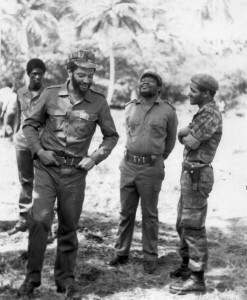 The most prominent leader of this revolution was a charismatic young lawyer by the name of Maurice Bishop. Bishop was a popular, creative and intelligent revolutionary with an intuitive grasp of where the masses were at. A brilliant communicator, his mutual empathy with the masses of the people was one of the major driving forces of the revolution – not unlike the relationship between Fidel Castro and the Cuban people, or between Hugo Chávez and Venezuelan people. Fidel saw him as a true brother and comrade, remarking that “Bishop was one of the political leaders best liked and most respected by our people because of his talent, modesty, sincerity, revolutionary honesty and proven friendship with our country”. There were of course other very important leaders whose role was decisive, but it’s clear that Bishop’s personal role as the pre-eminent leader of the Grenadian masses cannot easily be overstated. All in all, a very different focus to that of any previous Grenadian government, and to that of most other Caribbean states. One of the first overwhelming truths and discoveries of the Revolution was that education was everywhere, it was irrepressible! It came at once from every side and at every moment. The dammed-up flood of four centuries of the people’s urge to know, to understand, to learn, to connect, to criticise, to express themselves, was unstoppable. At meetings, at rallies, at panel discussions, through songs, poems, plays and calypso, the message poured down upon the revolutionary leaders: Teach us, we want to know! Young and old, farmer and urban worker, fisherman and the woman cracking nutmegs, seamstresses and road-workers, all clamoured for more education, giving the cue for the slogan: Education is a must – from the cradle to the grave. 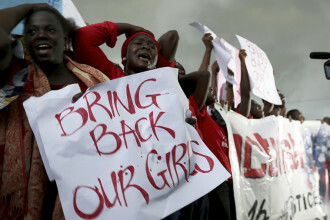 The revo was strongly focused on women’s empowerment and participation. “We moved against sexual harassment, and we encouraged women to participate fully in the construction of a new Grenada, for example through the National Women’s Organisation” (Dennis Bartholomew phone interview). Indeed, the first decree of the revo was to outlaw sexual victimisation. In terms of international relations, Grenada maintained friendly relations with all countries that were willing to treat it as an equal. Inevitably, this meant that its closest relations were with other nations within the socialist, progressive and non-aligned world, such as Cuba, (Sandinista) Nicaragua, the Soviet Union, Vietnam, East Germany, DPR Korea, Mozambique, Libya and Syria. Revolutionary Grenada was also a great friend to the forces fighting against South African apartheid and occupation, in particular the ANC and SWAPO. We are a small country, we are a poor country, with a population of largely African descent, we are a part of the exploited Third World, and we definitely have a stake in seeking the creation of a new international economic order which would assist in ensuring economic justice for the oppressed and exploited peoples of the world, and in ensuring that the resources of the sea are used for the benefit of all the people of the world and not for a tiny minority of profiteers. Our aim, therefore, is to join all organisations and work with all countries that will help us to become more independent and more in control of our own resources. In this regard, nobody who understands present-day realities can seriously challenge our right to develop working relations with a variety of countries. Sadly, the revo didn’t live to reap the benefits of the airport, which wasn’t completed until 1984. In May 2009, the airport was finally renamed Maurice Bishop International Airport. Revolutionary Grenada came under criticism from many angles for not holding parliamentary elections – particularly since Bishop’s first broadcast after the seizure of power had promised the restoration of “all democratic freedoms, including freedom of elections.” This lack of elections was constantly used by the US and its regional proxies to besmirch the New Jewel government, and there are plenty of people – even those broadly sympathetic to the revolution – who feel that the whole experience was tainted through lack of democracy. We don’t believe that a parliamentary system is the most relevant in our situation. After all, we took power outside the ballot-box and we are trying to build our Revolution on the basis of a new form of democracy: grass­roots and democratic, creating mechanisms and institutions which really have relevance to the people, If we succeed it will bring in question this whole parliamentary approach to democracy which we regard as having failed in the region. We believe that elections could be important, but for us the question is one of timing. We don’t regard it now as a priority. We would much rather see elections come when the economy is more stable, when the Revolution is more consolidated. When more people have in fact had benefits brought to them. When more people are literate and able to understand what the meaning of a vote really is and what role they should have in building a genuine participatory democracy. There are those (some of them our friends) who believe that you cannot have a democracy unless there is a situation where every five years, and for five seconds in those five years, a people are allowed to put an ‘X’ next to some candidate’s name, and for those five seconds in those five years they become democrats, and for the remainder of the time, four years and 364 days, they return to being non-people without the right to say anything to their government, without any right to be involved in running their country. Organs of power sprung up everywhere, and nearly everyone was involved in some level of organisation and decision-making, be it the Zonal Councils, the Workers’ Parish Councils, the Farmer Councils, the Youth Movement or the Women’s Movement, all of which met at least once a month. Free facilities were made available for all such meetings, and they were often attended by senior government figures, who would have to answer directly to the people. In 1981, the People’s Revolutionary Government established a Ministry of National Mobilisation, headed up by senior NJM leader Selwyn Strachan. This was a whole government ministry dedicated to devising means of continually spreading and improving popular participation in the running of the country, and ensuring maximum levels of accountability for those in positions of power. Searle points out that the army was expected to be at the service of the people, and was deeply involved in helping to carry out decisions made by the organs of popular power. He states: “The army was involved and was extremely popular. if repairs needed or houses build, soldiers would be there.”Quite a difference from the role of the army in a typical bourgeois democracy! So while parliamentary elections were not held in the four and a half years of the revo, a far more meaningful democracy was constructed. This had the additional benefit of avoiding the ways in which international imperialism – with its vast networks of contacts, diplomats, agents, media sources, bribes, and so on – can use parliamentary politics to subvert real democracy. Bishop’s analysis of this process brings to mind the way the west has tried to (and continues to try to) destabilise progressive governments, with varying degrees of success, in Jamaica (under Manley), Chile (under Allende), Venezuela, Zimbabwe, South Africa, Brazil and elsewhere. 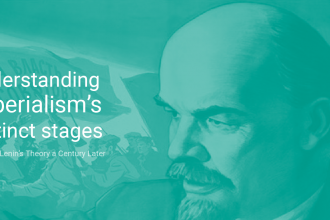 As can be seen from the example of so many states that have refused to go along with imperialist diktat – from Chile to Mozambique, from Cuba to Libya, from Venezuela to Syria – the west has a thousand different ways of creating instability. Grenada was no different. The US was able to mobilise elements within the Grenadian trade union movement to call strikes when the government was unable to meet their demands for enormous wage increases. There were boss-led lockouts. Production was sabotaged. Rallies were bombed. There were assassinations. A wide-ranging campaign was conducted in the ‘free’ (rich-white-owned) Caribbean press against the Grenadian revolution. In short, Grenada was subjected to every form of economic, political, paramilitary and media destabilisation. The revo was under constant threat. We think of the scientific way in which they have evolved a new concept which they have called destabilisation: a concept aimed at creating political violence, economic sabotage; a concept which when it fails, eventually leads to terrorism. We think of the attempts to use local opportunists and counter-revolutionaries — people who try to build a popular base, people who fail in building that popular base, and people who as a result of having failed to fool the masses then turn to the last weapon they have in desperation: the weapon of open, naked, brutal and vulgar terror. Having given up all hope of winning the masses, these people now turn their revenge on the masses. They now seek to punish the masses, to murder them wholesale; to plant bombs in the midst of rallies; to try to break the back of the popular support of the Revolution; because imperialism was frightened and terrified by the Grenadian masses on March 13, 1980 when 30,000 of our people gathered in one spot to celebrate one year of People’s Victory, People’s Progress, People’s Benefits. They were terrified by that, and as a result they now seek to intimidate, to brow-beat, to frighten and terrorise the masses to get them to be afraid to assemble, to get them to be afraid to continue to build their own country in their own image and likeness. In 1981, US President Reagan deployed over 120,000 troops, 250 warships and 1,000 aircraft to Vieques Island, near Puerto Rico, for a mock invasion. The operation was code-named ‘Amber and the Amberines’, in clear reference to Grenada and the Grenadines (which is Grenada’s full country name, as the state incorporates the two small islands of Carriacou and Petit Martinique). In this sinister war game, “the objective was to capture ‘Amber’, hold US-style elections and install a ‘government friendly to America’, keeping troops occupying the island until the elections were over.” (The Struggle Against Destabilisation). This was all too obviously an elaborate dress rehearsal for the US military invasion of Grenada. Such is the dangerous and precarious context in which the revo existed. 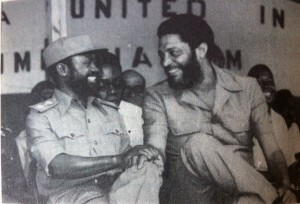 Although the revo continued to make impressive gains, behind the scenes a factional dispute emerged within the New Jewel Movement in 1983, based primarily on a criticism of Maurice Bishop, who was accused of developing a personality cult and of succumbing to petit-bourgeois thinking. A parallel leadership started to emerge in the NJM Central Committee around Finance Minister Bernard Coard, one of the key figures of the revolution and its most respected theoretician. 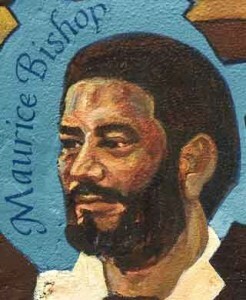 Maurice Bishop was placed under house arrest on 13 October 1983. Once the word got out, rallies were held across the country demanding his release. 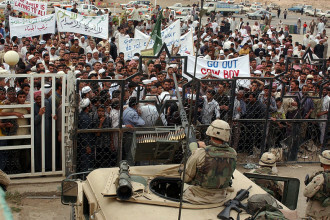 Just a few days later, on 19 October, a demonstration of several thousand marched to his house and managed to free him. The situation was one of total chaos and confusion. The crowd marched to the military headquarters at Fort Rupert, where Bishop apparently believed they would be able to defend themselves and regain control of the country. Hundreds of Bishop supporters made their way to the fort, and army units under the command of General Hudson Austin – a longtime comrade of Bishop’s who was on the other side of the NJM dispute – came rushing to the scene. The army won control of the fort, and firing ceased. Those remaining in the fort were ordered to leave, with the exception of (Prime Minister) Maurice Bishop, (Minister of Education) Jacqueline Creft, (Foreign Minister) Unison Whiteman, (President of the Agricultural and General Workers Union) Fitzroy Bain, (Minister of Housing) Norris Bain, Keith Hayling, Evelyn Bullen and Cecil Evelyn Maitland. These eight were lined up facing a courtyard wall and executed by firing squad. A week later, Reagan played out his ‘Amber and the Amberines’ war game in real life, sending tens of thousands of troops to ensure that the Grenadian Revolution was comprehensively wiped out. Thus was destroyed one of the most promising experiments in people’s power of the latter part of the 20th century. There is much research still to be done in relation to the precipitous fall of Grenadian Revolution – the extent of CIA involvement, the details of the Bishop-Coard split, and so on. It’s almost impossible to understand how such a disaster could have happened, just as it’s almost impossible to understand how the Black Panthers and allied organisations in the US could have imploded so spectacularly. In the case of the Panthers, a great deal of research has been done over the decades, and we have an increasingly clear picture of the depth of the state’s sinister campaign of assassinations, imprisonment, psychological warfare, agents provocateurs, fake letters, rumour-mongering, and the infiltration of drugs. It would hardly be surprising if the US intelligence agencies turn out to have been heavily involved in the collapse of unity within the NJM. Whatever the case, it’s difficult to disagree with Fidel’s assessment that “no doctrine, no principle or proclaimed revolutionary position and no internal division can justify atrocious acts such as the physical elimination of Bishop and the prominent group of honest and worthy leaders who died… Look at the history of the revolutionary movement, and you will find more than one connection between imperialism and those who take positions that appear to be on the extreme left.” The murder of Bishop and his comrades lost the NJM the trust and confidence of the people, and in so doing paved the way for US invasion. 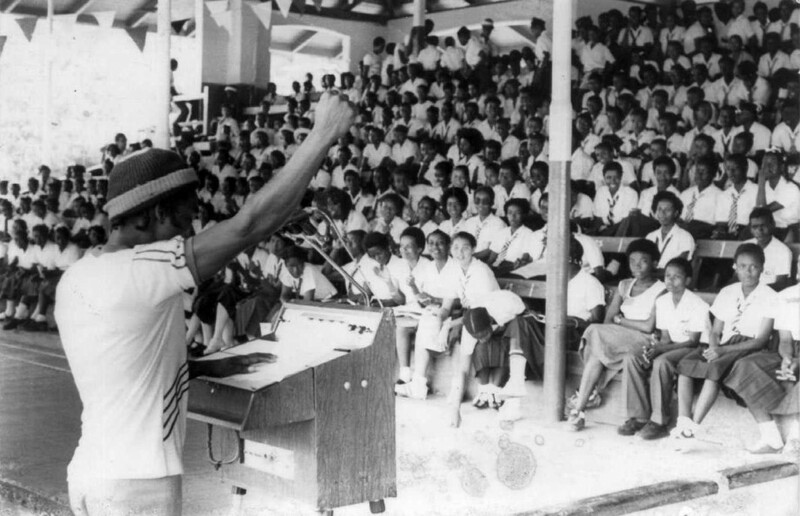 It’s unfortunate that the Grenadian Revolution of 1979-1983 tends to be remembered only in terms of its tragic final days, because its first four and a half years were brilliant and unprecedented – an explosion of creativity, of culture, of vibrancy, of learning, of democracy, of freedom. The grandsons and grand-daughters of slaves wrested power and built a society on the basis of their own hopes and dreams. They began to write their own history. More than anything, we showed that if you have the will, and if you mobilise the people, you can change things. We were able to do remarkable things in spite of the fact that we started with a bankrupt economy and very little in the way of natural resources. But the people were mobilised. The memory hasn’t been totally wiped out. Thirty years later, we can make a clear comparison to help us understand what the revo did. In four and a half years of a progressive, independent, socialist-oriented model, look at what we achieved, and compare that with the achievements of 30 years of a US-backed capitalist model. Yes, the revo was tainted in the eyes of Grenadians as a result of the tragic events of 19 October, but the achievements can’t be forgotten. We shouldn’t forget the enormity of what we did. It took several hundred years for feudalism to be finally wiped out and capitalism to emerge as the new dominant mode of production, and it will take several hundred years for capitalism to be finally wiped out before socialism becomes the new dominant mode. May the legacy of the Grenadian Revolution continue to inspire and educate.